Brewer Description: (from can) The citizen’s brewery of Plzeň brewed the world’s first golden pilsner and never stopped. We make it in the same way, in the same place, with 100% of our ingredients from the same farming regions in Czech, as always. Intro: A 500ml can canned on 2nd February 2016 and poured into a Riedel weizen glass. Appearance: It poured an extremely clear golden colour with a three finger white head that had decent retention and left sparse spotty lacing. Aroma: Grassy and honey aromas with a hint of grain and floral. Taste: Sweet honey and grain with some biscuit, toast and grass plus a hint of bitterness. 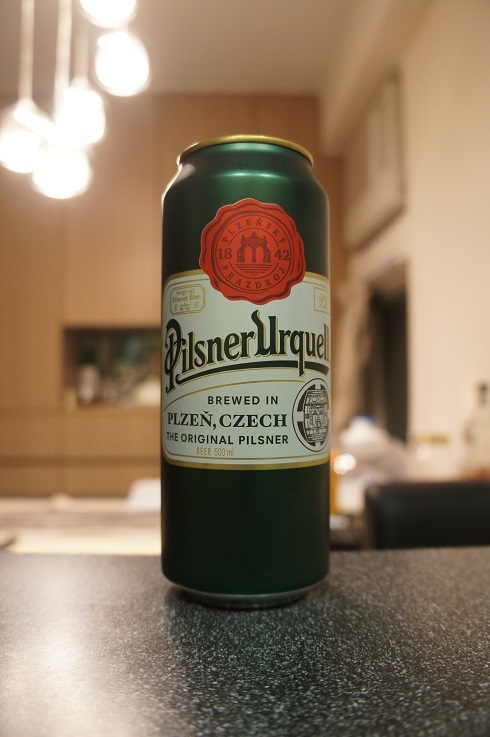 Overall: A nice refreshing easy to drink Pilsner.